For Easter Sunday, my mother and I were kindly invited to join a couple for a holiday dinner at their house. It was a lovely affair. It began by sitting on their porch eating cheese and crackers with a variety of drinks. A warm Spring day to spend in old fashioned Southern style: rocking in rocking chairs, feeling the breeze, admiring the daffodils, listening to soaring music, and just having free-flowing conversations covering many interesting topics with great people. It moved inside to a wonderfully prepared dinner and festive decorations, including whimsical bunny-driven cars, handmade from PEEPS candy and Twinkies. Then, for dessert, our friend brought out these beautiful sugar cookies. She had made them from scratch and hand-painted pastel colors onto their glorious springtime flower designs. They were breathtaking in their simple grace, as utterly gorgeous as any cookies could ever be. A true gift made to share. 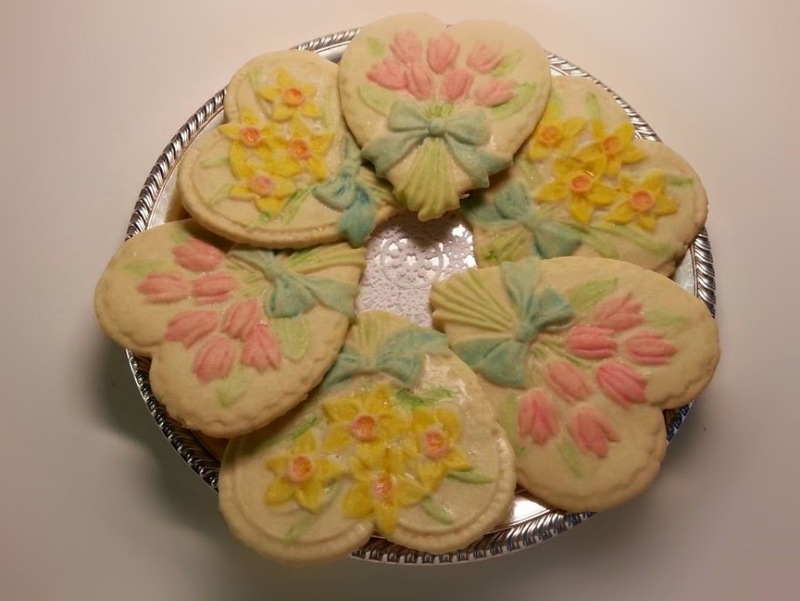 She had found the molds in a local shop, searched for paint brushes to apply the dyes to color them, made the dough, hand pressed it into the molds, delicately removed the dough keeping the design intact, baked the cookies, mixed the pastel dyes, then painstakingly hand-painted them with a flourish for detail. Graceful, elegant, and exquisite, like something out of a fairy tale. We admired them greatly and, although they were delicious, it felt like a shame to devour something so wonderful. But devour and savor we most certainly did. At times, surviving is like those cookies. It takes time, effort, planning, patience, and care. Not to mention fortitude of will, focus, creativity, dedication, and love. It also can be painstakingly hard to finish. It isn't the simplest of tasks to create something beautiful or to survive something hard. It isn't easy to find beauty in hard things or overcome the harder parts of creating something beautiful. But, like those precious cookies, it is worth all the effort. Surviving is worth all the time, the effort, the planning, the patience, and the care. Continue to fight to have the will, maintain the focus, find the creativity, be dedicated, and always acknowledge the love. Share the struggle and the gentle grace of surviving. As hard as it may be to get there, there is beauty in your survival.